First of all, – THANK YOU for your interest to our work and for your time. We love our work and we are grateful for your support! These two months were full of good things and we are glad we can share them with you. It was a great time, – lots of challenges and, hope, even more discoveries. From the other hand, even though it seems to us, that all the three workshops went well, I feel that when next time we happen to teach one in the Holy Cross Monastery, we should better connect our workshop with worship. 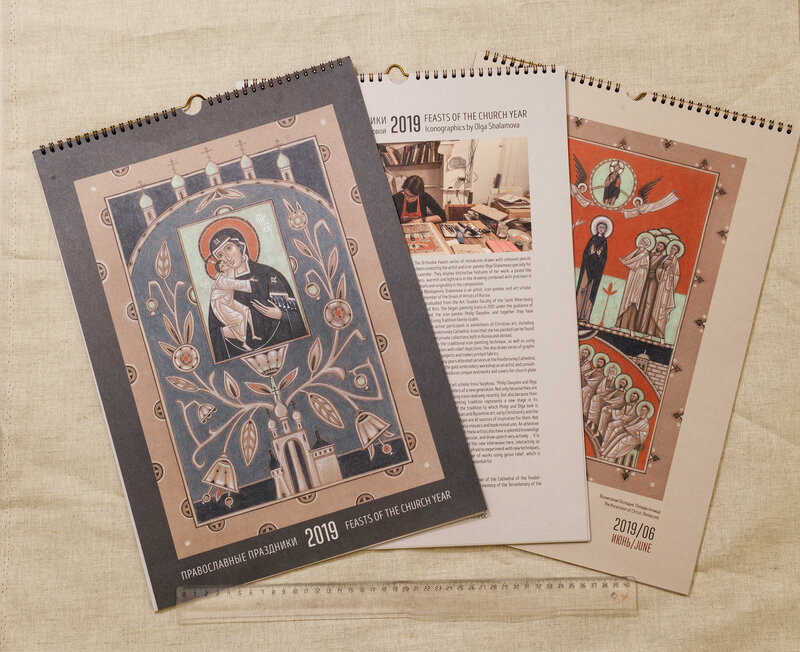 And it is not only about adjusting our time to the schedule of services, it’s much wider – about icons “working” in liturgical space, – both theory and practice. We have already started thinking about the next year workshop in Holy Cross, but I think we will only be able to launch it in October. 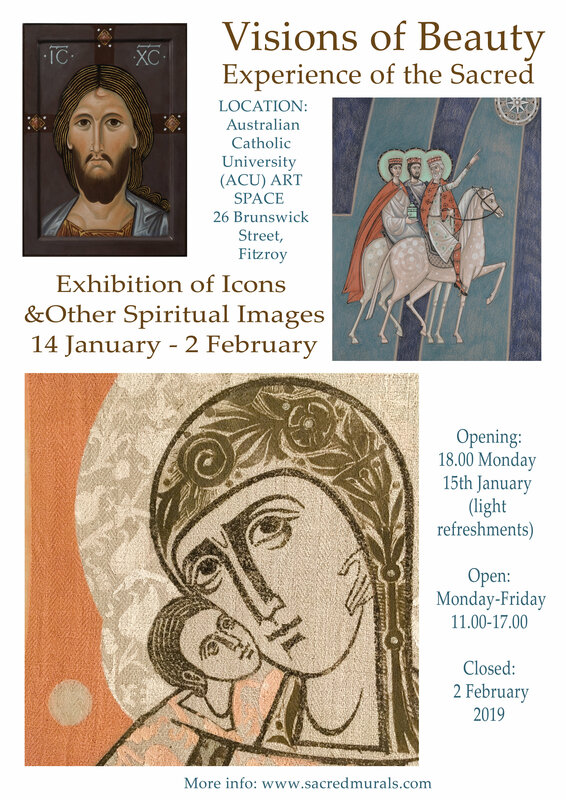 It’s only July, but both our January Icon Drawing Workshops in Melbourne are filled up or almost filled up. We talked to the ACU and decided to launch one more, this time more universal, – like we did in the past. We called it “General Icon Painting Workshop” intending to say it’s about painting an icon from scratch to the end, going through all sorts of activities we used go to in our daily work. Planning it we mostly thought of potential students, who’d never attended our workshops before, so they could catch up and grab their piece of experience. And – an important notice, – if you have already signed up for any of previously announced workshops and want to switch to a new one, please, let us know in the nearest time, before it is filled up. https://www.youtube.com/watch?v=8vcucGcwaoA. Please, leave your comments, – it’s a beginner’s experiment, any constructive critique is appreciated. Within a couple of months from now we think of making some more of this kind, and we will take into account every consideration. Another video to share, – our Australian friend Sister of Mercy Margaret Broadbent was interviewed almost two months ago: https://vimeo.com/218884778. If you are in northern hemisphere we wish the most beautiful spring, if in the southern, we hope you are having an enjoyable autumn! As the time runs, we have to make some changes in our workshop schedule, couple of new works, couple of exhibitions and a special website to share. Groups in Calgary and Seattle are filling up well, but last week we have been contacted by Wesley Seminary (Washington DC) and we were informed that our workshop has to be cancelled because of widescale renovation works. 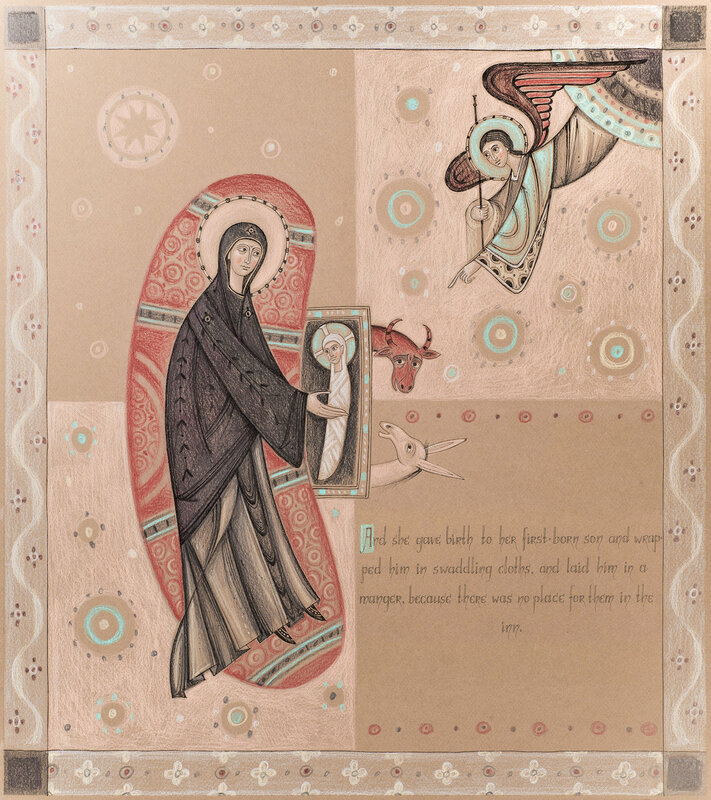 But since every cloud has a silver lining, with a generous invitation of Peter Pearson’s now we happily launch a brand new Icon Drawing Workshop in the Holy Cross monastery in West Park NY, – reachable by direct trains from NYC). It’s a 4 days course for $650 with lodging and meals included, – lots and lots of drawing! We think it’s essential for all. The Last Supper by Olga Shalamova. Egg tempera on wood. Besides, we are surprised to see constant and unpredictable interest to iconography exhibitions. As always we publish some photos at our Flickr, hope you may find something inspiring. The first one was a “85 years of Union of Artists of Saint Petersburg“, which included our iconography section not a special one iconography (February 20 – March 10 2017, St. Isaac’s Square Manege, Saint Petersburg, Russia). Passions of Christ (March 5 – April 10). Thanks you very much for your time, hope next one will have less news and more images to share! The first word of this newsletter we want to be the word Gratitude! Though we often wished to say it before, somehow yet there was no special occasion. Now we think it can be a good time. Looking back at our 10 years of workshops in Melbourne and even more in the US, we are happy to say how grateful we are to God, to our friends and relatives. We feel that in these years we had been immensely blessed, helped and inspired, our work – valued. I know, I should list the names, but it would need many pages and simple listing of course would not be enough… We thank you all very much and wish that this coming year (and many more to come) will bring you the peace, joy and blessings in Christ. Now we are back home-sweet-home, and thanks to Margaret Broadbent (see the photograph) we had a great cultural program in Sydney and feel very much rested… Time to stir paint for new sketches, time to bring together all we have seen and experienced lately. Photographs from our last workshops (and exhibition) in ACU can be found on Flickr https://www.flickr.com/photos/25669502@N07/albums/72157677715164470. NEXT ONES are planned for June 2017 (Seattle and Calgary, – filling up). In addition to them we announce our traditional workshop in Wesley Seminary (Washington DC, USA). Though yet it’s not sure, but we may as well have one more workshop in the UK, but this should be happening in the second half of the year, – it’s just a “maybe” for now. And to conclude this listing, it’s good to say, – we always look forward to hear your critique, questions, comments or proposals, hoping that our educational methods and principles may be considered as an open system, changeable and upgradable. And hopefully more to come! One more time we thank you very much for being with us! The history of Russian Sacred Art and Architecture through Millennia July 10 – 30, 2017 The “Russian Icon” tour is the first comprehensive study tour that along with all of the major collections of Russian Icons will include many less famous, generally overlooked, but yet very important monuments and collections of the Russian Medieval Sacred Art. The itinerary includes visits to Moscow, most cities of the Golden Ring, Vologda, Ferapontovo, St. Petersburg, Novgorod and Pskov. Travelers will get a real in depth course not only on the History of Russian Sacred Art and Architecture, but also on the History of the Russian Orthodox Church and the Russian State. Another benefit of this trip is the fact that we will work directly with museum staff and clergy along the way. With many of them we have longstanding and personal friendship that enables us to see and to do learn about the things that usually remain behind the closed doors. Detailed itinerary available upon request. The Year of Prayers for Peace! Hmmmmm… What?? 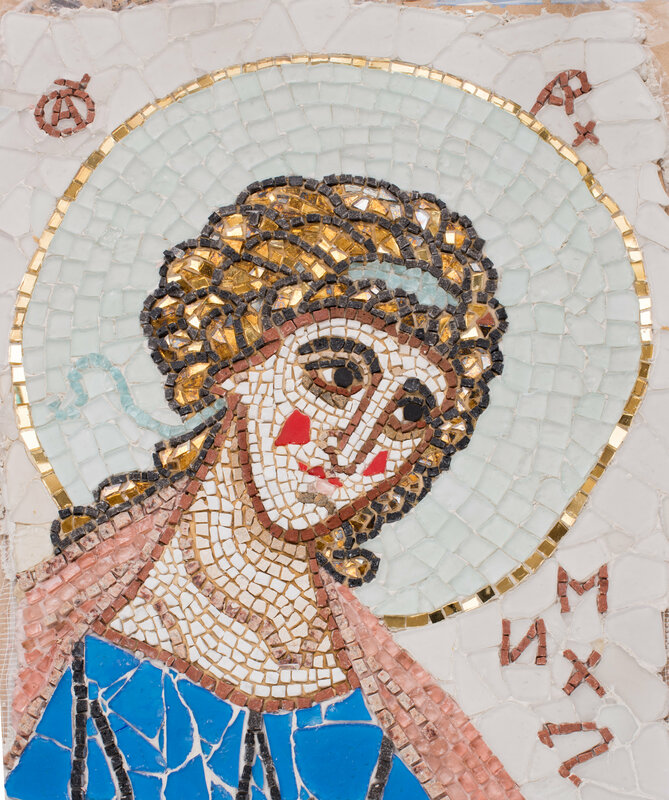 Wait a minute…What kind of “New Type” can an iconographer talk about, if the whole his or her life has to be dedicated to the main vocation – painting the Face of Invisible God and His saints??? And, yes, – now we have an answer… For a number of years we wondered about extending iconographers professional possibilities. The question is this – what can an icon painter paint, avoiding to compromise or disgrace tradition and own skills, but trying to make a new type (genre) of image with different goals and functions. And we found the answer… simply working with our sketches… The answer can be a GRAPHIC WORK. From point of view of the materials, it’s similar to the manuscript illumination process, but since we are not obliged to make it a direct text illustration, we may think of a special kind of visual, recalling traditional iconography, but using a slightly different language and pursuing different goals. A reminder to our Australian Subscribers, especially to those, who signed for the workshop(s) in Melbourne! The first workshop begins on Monday, the 16th of January! Please, make sure you are coming relaxed, fresh and open in your thoughts&spirit, ready for the challenges and for discoveries! Installation of our collective third exhibition “The Visions of Beauty” is scheduled to be done in the morning on Saturday, the 14th of January. Please, bring your works to participate, – the more and more – the better! FeaturedPosted on December 19, 2016 December 24, 2016 Categories Contemporary Christian Art, Exhibition of Icons8 Comments on Merry Christmas!! !